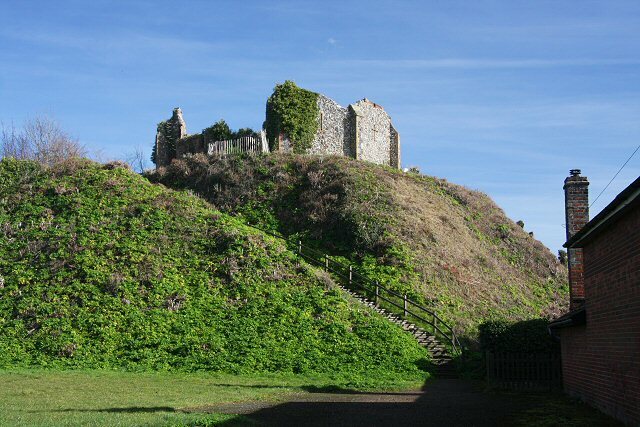 Notes: Eye Castle is a motte and bailey medieval castle with a prominent Victorian addition in the town of Eye, Suffolk. Built shortly after the Norman conquest of England in 1066, the castle was sacked and largely destroyed in 1265. Sir Edward Kerrison built a stone house on the motte in 1844: the house later decayed into ruin, becoming known as Kerrison's Folly in subsequent years.